In November, I will be travelling to the Kingdom of BGBJ near Jakarta, Indonesia . 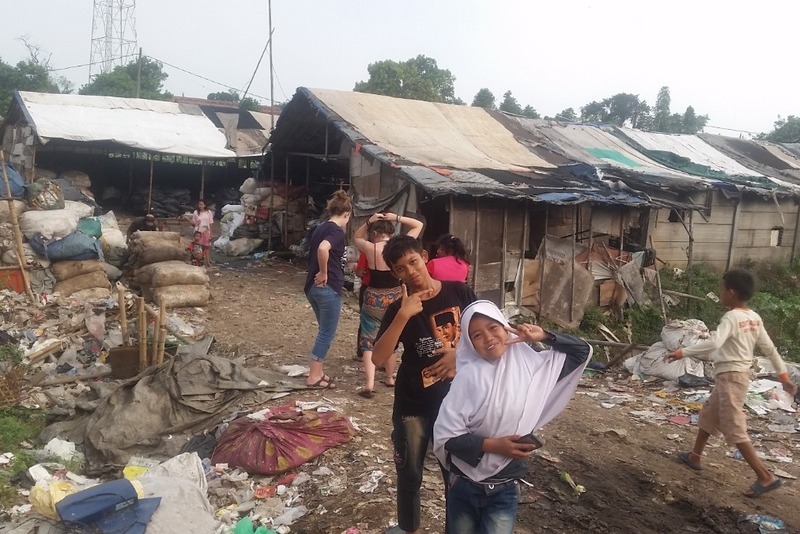 This is my second trip here, where a community of around 3000 families lives in the largest landfill in South East Asia. In this challenging environment, where families work to collect plastic to sell for around $2 a day, BGBJ is a space run by Resa Boenard, set up in an old plastic storage facility. It has now become a centre to provide community and education in particular to the children who live there. As well as collaborating with the community and leaders at BGBJ to help support their development into a self-sustaining project, this project aims to raise awareness in the UK of other cultures to encourage a sense of global community. It also aims to consider how we as people are linked, even over vast distances, thinking about our behaviours and the power of the individual to enact change. Please take a minute to read more about the project below, and take a look at the BGBJ website – http://www.bgbj.org/ - or Instagram . To describe it in words doesn’t do justice. 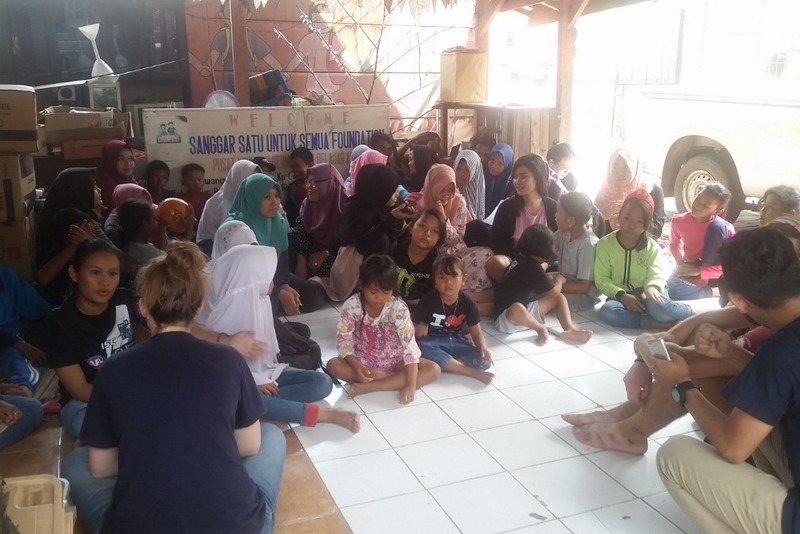 Resa in particular works tirelessly to develop and promote it, through selling beauty products they make on site, doing interviews on TV in Indonesia and beyond, working with the people (in particular the children) to enable and motivate them. It is an amazing story which I have only touched on necessarily briefly here. Please share and support if you can - every donation is very important, and will enable great work! The fundraising target is £2500. This will go towards accommodation and material costs - the hub operates as a fully functioning hostel, and as I will be staying at the project itself, this money will go to them to support their work. This includes things like acquiring internet access (an essential learning tool) and development of the building, continuing to build a safe learning and community environment to everyone who lives there. Developing the Hostel also helps them to invite more paying guests, as well as their unique 'BGBJ Style' products , which also helps the project to be financially self sustaining. Why BGBJ? What does it mean to the UK? A common problem - the ecological element. In the UK, and the West in general, we have a problem with overconsumption, packaging, and what to do with our waste. For a long time, the UK (along with other countries) has sought to solve its waste problem by sending it elsewhere. This is not However, China has recently closed its doors to our waste, meaning more is now making its way to other countries. As reported by the Ecologist : ‘...in 2013 China implemented stricter rules on the quality of plastic it would accept in a project called 'Operation Green Fence'. As a result more plastic waste is now making its way to Indonesia, Vietnam and Malaysia’. This in turn is leading to more and more plastic waste going into the ocean, as other countries struggle to cope, or companies exploit lax environmental laws. BGBJ is one of these places, where the thousands of tons arriving every day swamp the community and turn what were once rice fields into the largest landfill in South East Asia. Unfortunately an increasing amount of this waste is coming from the UK, linking our two countries together in this most modern of problems. In the world of the feelings raised by Brexit, and Trump, et al, feelings of isolation and alienation are on the rise. Cultures are, in some sectors, increasingly represented as fundamentally different, or worse still, as a threat. Put very simply, through meeting other cultures, it is the aim of this project to add momentum against this trend,to help to understand and celebrate the diversity of the world community and our common humanity, of which we are all now part. BGBJ shows the power of individual choice in the face of huge challenges. Beginning the project with nothing, Resa Boenard's continuing project has developed the space from a disused plastic silo into a community centre creating a positive force for change in the lives of the people there. This is a power everyone has, and it is one of the aims of this project to represent how simple, individual acts can have a real effect, even over thousands of miles. Through this project, it is also the aim to show how communities are linked, and to get to know other cultures and people on a human level. In the face of these challenges, this project is about how we can encounter the world and meet our common difficulties positively. Through a positive approach like the one at BGBJ, and by breaking down barriers and meeting other cultures, understanding them and knowing them on a human level rather than as an abstract, far away phenomenon, we can understand ourselves as part of a global community. Beyond that, we can think about our behaviours and how they affect other communities. Particularly for young people, this can help them to contextualise themselves in the ever more interlinked and globalised world they will grow up in, how they can act in relationship with that, and how they can celebrate the diversity of the world. Whilst I am there, we will be collaborating with the community through cultural exchange, meeting, learning about and documenting the community and people, as well as sharing my culture and experience with them. Initially the project will be shared through the 'Humans of BGBJ' photography and oral histories project, detailing the real lives and individual stories of the people who live there - this part of the project will be supported by the University of Arts, London, in the form of an Instagram takeover (watch this space for updates). This will include art and English workshops (English being important to the prospects of the children), and also helping to develop the site itself. I am planning to share this project with the UK, in schools, to share the outcomes of the project, and what it means to us. Beginning with a pilot project in a local school, I am also planning to share the project through talks and seminars, for example at events such as the Tate Exchange, where I participated earlier this year. Thank you for reading - all your support is hugely important, and appreciated! I'm an artist and practitioner who has lived and worked across the world. As well as my ongoing creative practise, I have a focus on community work, aimed at cultural exchange and enablement. I have lived in Japan, and then Korea, where I was an educator and artist, and also involved with the community (in Seoul, particularly as a supporter of the LGBT+ community and its ongoing human rights work, and in the creative arts I was co-organiser of Look But Don't Touch, a national touring exhibition of 4 cities). I have participated in community building projects in North Horr, Kenya, as well as working in a range of settings across the UK, particularly in the North West, where I worked with worked with young people from challenging environments. I recently completed my MA at the University of Arts, London, and have been published and exhibited internationally.